BarCamp Prishtina continued its new season with another marvelous edition that comprised of interesting speeches and intriguing stories for the audience. The already-established community consisting of zealous people and powerful talks made this edition just as exciting as the preceding ones. 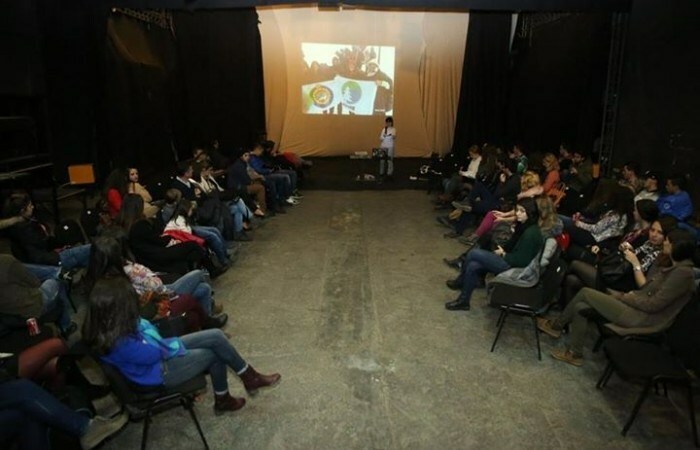 The main theme of the twenty-sixth edition of BarCamp Prishtina was Extreme Sports, while the main purpose of it was to offer the audience essential information on how these activities are done in Kosovo. Extreme Sports refer to certain activities perceived as having a high level of inherent danger. Additionally, these activities often involve speed, height, a high level of physical exertion, and highly specialized gear. Three speakers were invited in this edition, consisting of Shqipe Salihu, Nol Turjaka, and Meriton Bobaj. This edition of BarCamp took place at the Oda Theatre, an area that provides a decent environment in which people can gather, socialize, share ideas, and prosper. A cozy and warm venue ensured that powerful talks engaged the participants’ minds, while fresh drinks kept the former receptive to thrilling discussions. It was nice to see that the interest was quite high, as it aids our attempts of increasing our BarCamp community and provide them with opportunities of personal and professional growth. Shqipe Salihu, an engineer and president of Mountaineering Society “Blinaja” Lipjan, disclosed her experiences through the activities of this association, including the hiking activities to various peaks within and outside Kosovo. Additionally, Shqipe put an emphasis on the amount of solidarity and hospitality she has encountered among local and international hikers, the majority of whom she had not known in the past. Nol Turjaka, a student of architecture, extreme skier, and former-competitor of alpine skiing, focused more on freeride and freestyle skiing. Although at a young age, he has been engaged in extreme sports for over 18 years. Nol talked about his extreme experiences in the dangerous peaks of various mountains. Furthermore, he gave advice to the interested audience on the type of equipment that is necessary to embark on these extreme quests. Meriton Bobaj, founder of the association for extreme sports, called “WOLF TEAM,” talked about his experiences in free-diving, scuba diving, paragliding, mountain biking, hiking, motorcycling, kitesurfing, and snowboarding, with a greater focus on skiing. He has acted as an active promoter of extreme sports in Kosovo throughout his career. He also offered essential information of the necessity of secure equipment to ensure safety and proper engagement in extreme sports. The audience was quite interactive and wanted to learn more on the manner in which they could join the speakers in their quests. Hence, the discussion got lively and there was an issue raised by parents who have noticed the danger of extreme sports and constantly feel under pressure and in anxiety. Another great edition of BarCamp Prishtina has come to an end. Until the upcoming edition of BarCamp, socialize, collaborate, inspire, and innovate! See you soon in BarCamp Prishtina #27.